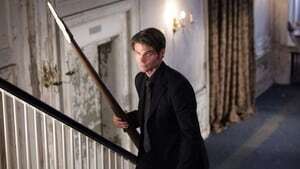 The second season begins with Elena discovering her uncle John's bloody body and learning Jeremy's fate, and Damon realizing that Katherine has returned. Meanwhile, Caroline is taken to the hospital following a car accident, and Tyler's mysterious uncle Mason arrives in town. When a confused and desperate Caroline leaves the hospital and joins her friends at the Mystic Falls Carnival, Damon wants to take immediate action, but Stefan and Elena come to Caroline’s defense. Matt is completely mystified by Caroline’s behavior, but still tries to tell her about his feelings for her.. Damon has suspicions about Tyler’s Uncle Mason and uses Tyler’s volatile personality in an attempt to get Mason to reveal his secret. Upset with everything going on around her, Bonnie takes her anger out on Damon. Stefan takes drastic measures to find out the real reason Katherine has returned to Mystic Falls, and is shocked when she reveals new secrets about what really happened in 1864. Damon tries a new tactic to resolve his issues with Mason,.... but it proves costly. Tyler pushes Mason to tell him the truth about the Lockwoods. Finally, when Katherine delivers an ultimatum, Stefan and Elena are left with very few options. Tyler learns more about the Lockwood family curse from Mason. Stefan and Damon argue over how to handle Mason. Elena tries to keep Jeremy from becoming more involved with the Lockwood mystery, but Jeremy makes an effort to hang out with Tyler. Mason gives Sheriff Lockwood some startling information, leading to a night of violence, confession and heartbreak. Despite Elena’s efforts to keep Jeremy safe, he offers to help Damon and Alaric deal with Katherine... Sheriff Forbes and Caroline share a few rare moments of quality mother/daughter time. Bonnie accidentally discovers new information about Mason and shares it with Stefan, leading Damon to take matters into his own hands. An Ancient Presence In Mystic Falls, Stefan and Damon come to Elena’s assistance and, in the process, learn surprising new information about people, vampires and events in the distant past. Jeremy helps Bonnie after she casts a difficult and exhausting spell, and Caroline does what she can to make things easier for Tyler. Finally, Stefan and Damon reach a new understanding. Elena puts herself in a dangerous position as she searches for the truth about Katherine’s past and what her own future may hold. 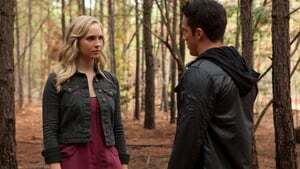 Knowing that Stefan would never agree to her plan, Elena swears Caroline to secrecy. 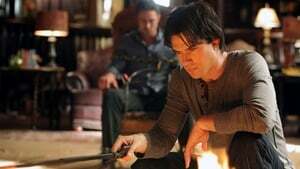 Damon uses a new-found confidant to help him try to discover the real purpose and power of the moonstone. Jeremy and Bonnie meet Luka, a new student with a surprising family history. Elena decides to take matters into her own hands and offers a tempting incentive to Rose for her help. When things take an unexpected turn, however, Rose calls on Damon to deal with the plan Elena has set in motion. Jeremy’s reckless attempt to help Bonnie retrieve the moonstone lands him in a life-threatening position and forces Stefan to put himself in danger. Bonnie and Luka form a closer connection. Tyler shows Caroline the Lockwood cellar, where she makes a discovery that leaves them both terrified. Stefan has his own ideas about Elena’s new plan for the future. While Damon tries to get the truth out of Jules, he asks Elena to keep an eye on Rose, a situation that turns unexpectedly dangerous. Caroline and Matt try to be honest about their feelings for one another, and Tyler’s reaction to Caroline’s generosity comes as a surprise to her... Damon struggles to hide his true feelings when a life-and-death crisis hits him harder than he expected. 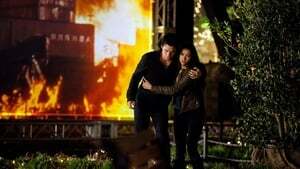 Johnathan Gilbert’s return to Mystic Falls comes as an unhappy surprise to Elena, Jenna and Damon. Caroline lets Stefan know about her conversation with Tyler, and Stefan does his best to reach out to a confused and conflicted Tyler. Jeremy comforts Bonnie after her disturbing conversation with Jonas... When Jules takes a hostage, the situation quickly escalates into a violent confrontation.